Everything you need to get started double or single pumping. The Nurture III is a small, quiet, efficient breast pump with fully adjustable suction and manual cycling so you can imitate your baby's variable nursing patterns. Many women prefer manual cycling because it gives them more control over the pumping process. 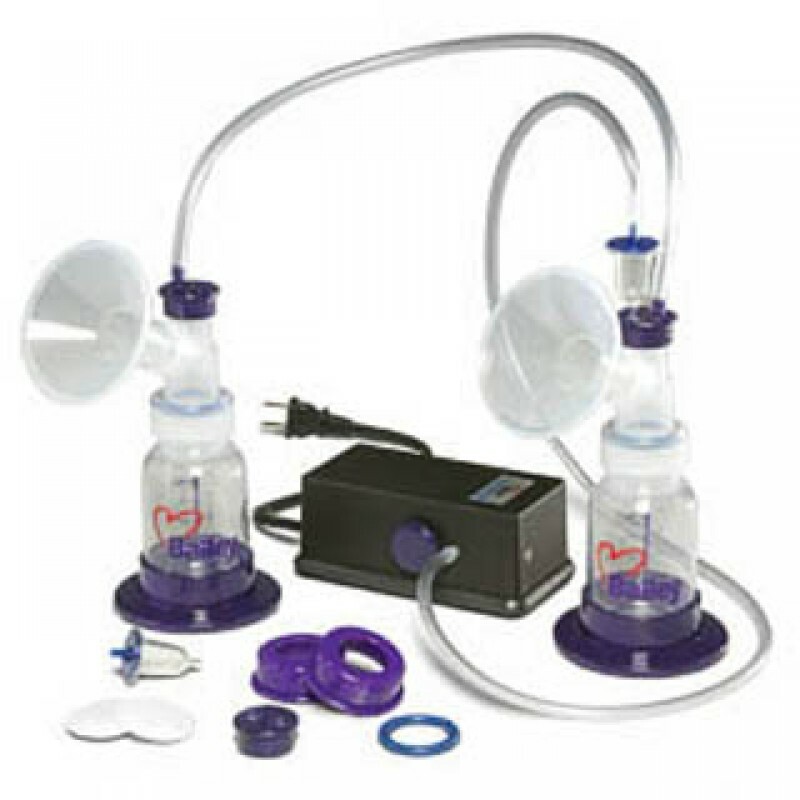 You can change the cycle time as you are pumping to mimic the way your baby nurses and maximize your pumping efficiency. To create suction and cycle the Nurture III, you cover and uncover a vent on one of the collection bottles with your finger or thumb. It's a very small, easy motion and you only do it on one side, even when you're double pumping. The Nurture III reaches 220 mm Hg (the natural suction level of babies) in 2-3 seconds, allowing you to cycle it 20-30+ times per minute and enabling you to express both breasts in 10-20 minutes. The compact and easily portable Nurture III is durable and reliable enough for many years of frequent use. The pump is UL Listed and plugs into a standard electrical outlet. The bottles, flanges, stands, caps and tubing are BPA-free and DEHP-free. The instruction manual and instructional DVD are easy to understand in both English and Spanish. The Nurture III is manufactured in the USA. Includes: Nurture III Pump Motor, a Basic Double Collection Kit, and our instructional DVD (not pictured). Nurture III Breast pump parts are BPA-free and DEHP-free.